RIM to launch 'BlackPad' in November? Can RIM move into the tablet PC market with the rumoured 'BlackPad' tablet PC said to be launching in November? 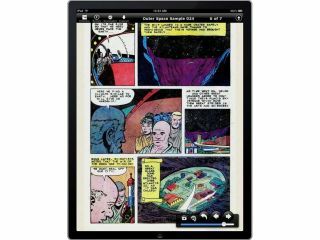 Research in Motion is rumoured to finally be launching a tablet to rival the Apple iPad this coming November. Bloomberg News reported the launch date, citing two people close to RIM's plans. There have been rumours of a BlackBerry tablet PC doing the rounds for some time. The Ontario-based RIM has also recently registered Blackpad.com as a domain name, sparking rumours that this is also going to be the name of the tablet device. According to a WHOIS lookup on a domain, RIM purchased BlackPad.com only a few days ago. This is of course no actual confirmation that 'BlackPad' is going to be the final name for RIM's tablet device, though it is certainly evidence that the company wants to protect the name. TechRadar has contacted RIM's UK office for further comment and clarification on this latest news. So far, we've been served with the requisite 'no comment' but stay tuned for updates, because it's clear that something is bubbling just under the surface on this one.